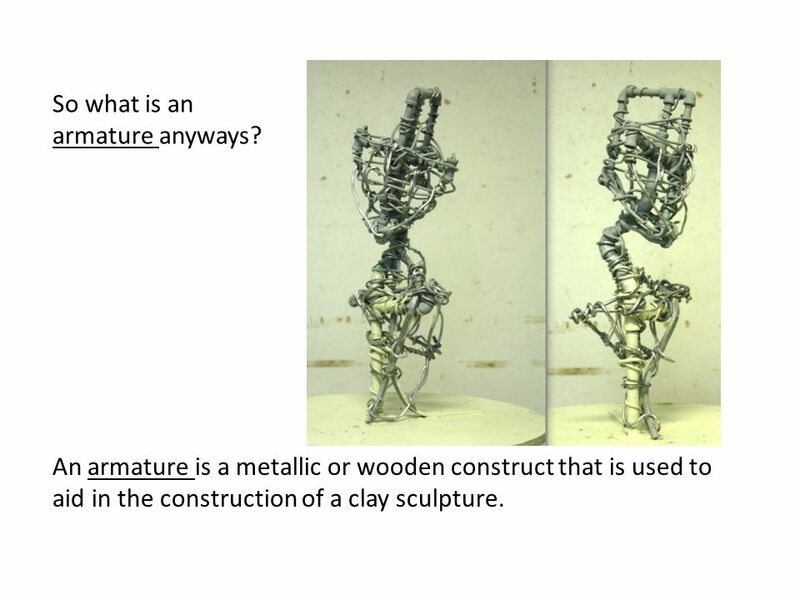 2 So what is an armature anyways? 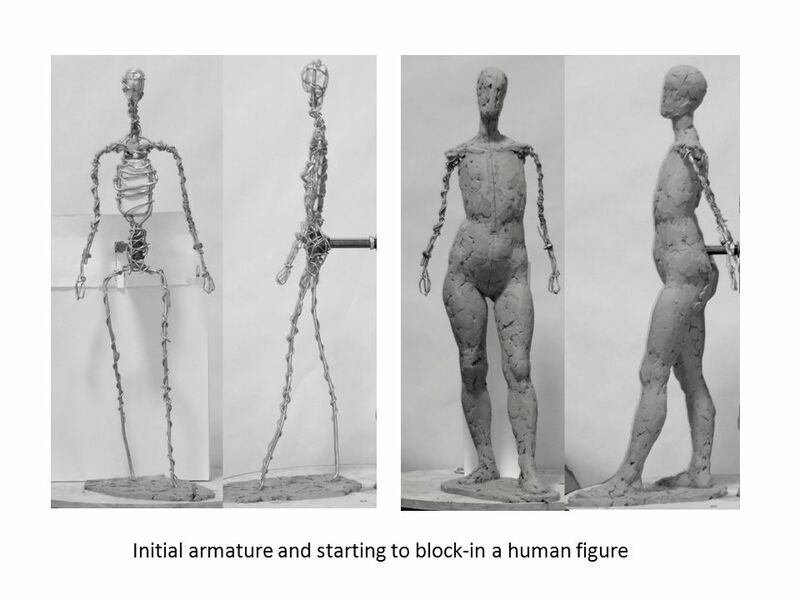 An armature is a metallic or wooden construct that is used to aid in the construction of a clay sculpture. 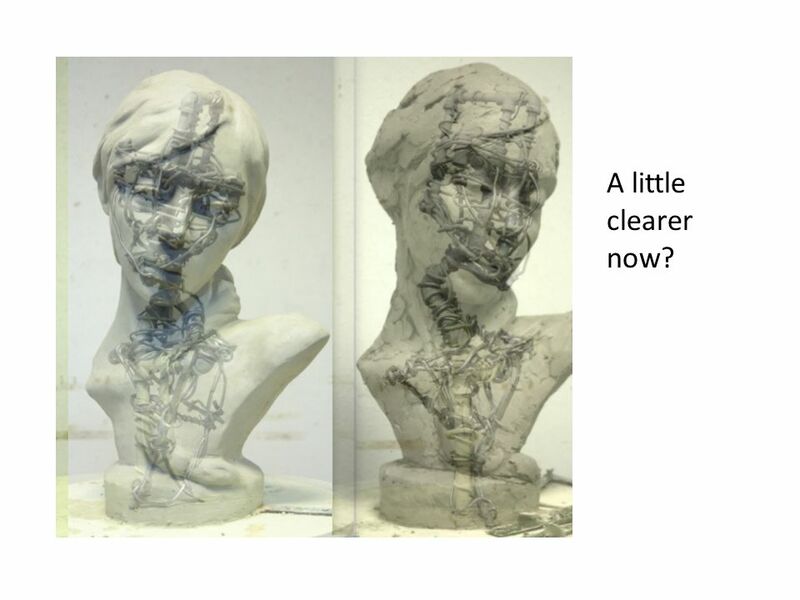 3 After you create a metallic armature, you can add clay over it and slowly build up to the sculpture’s desired surface forms. 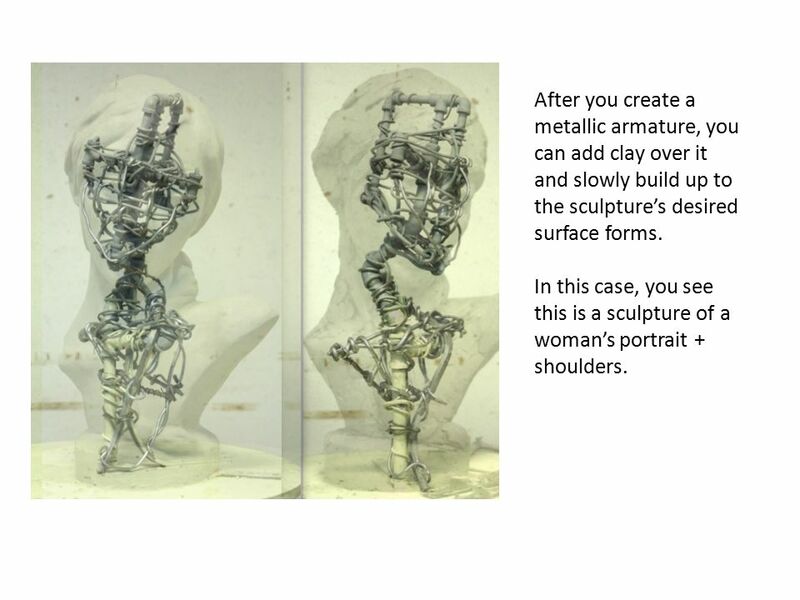 In this case, you see this is a sculpture of a woman’s portrait + shoulders. 4 A little clearer now? 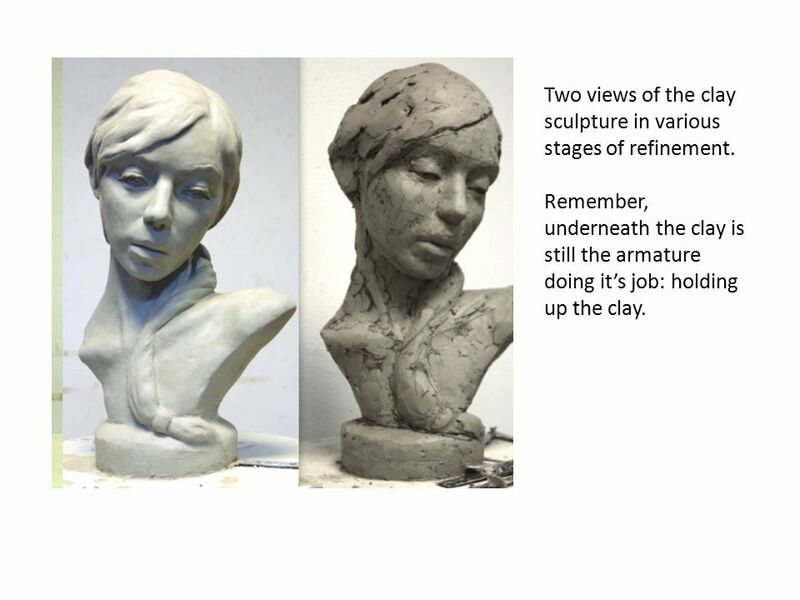 5 Two views of the clay sculpture in various stages of refinement. 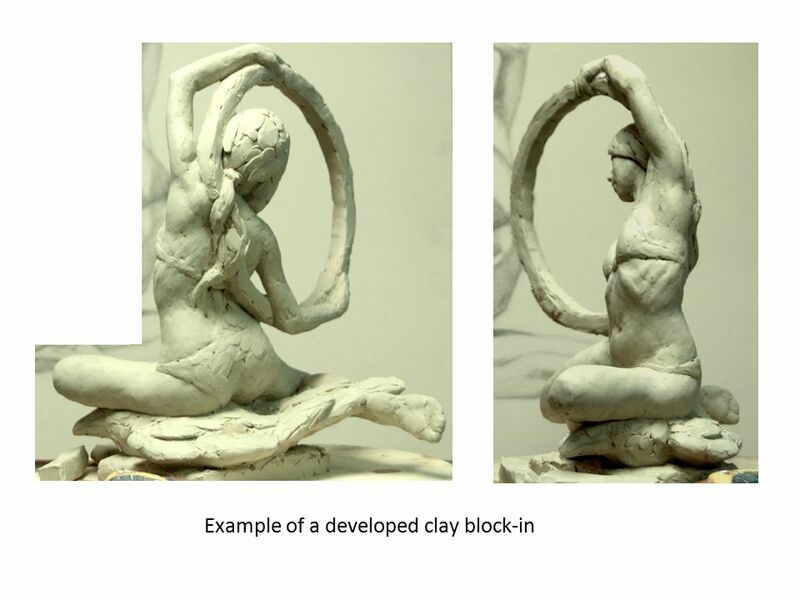 Remember, underneath the clay is still the armature doing it’s job: holding up the clay. 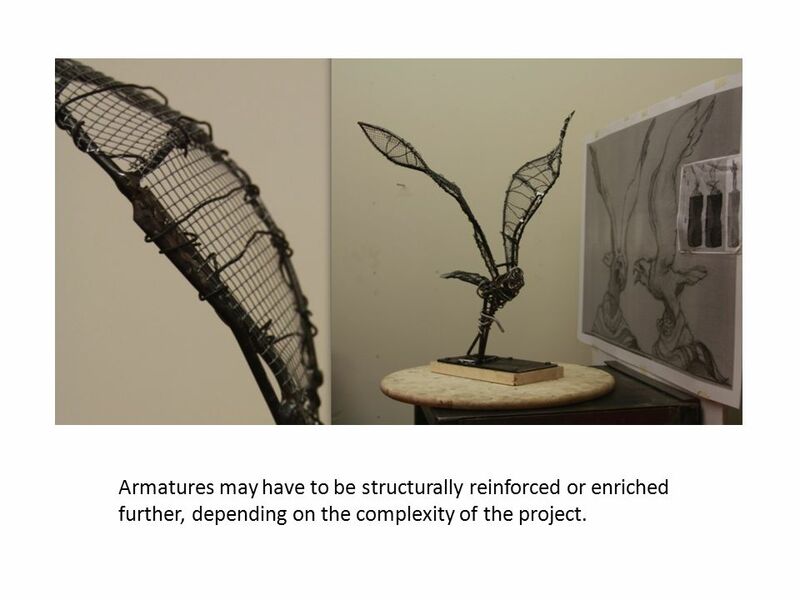 7 Armatures may have to be structurally reinforced or enriched further, depending on the complexity of the project. 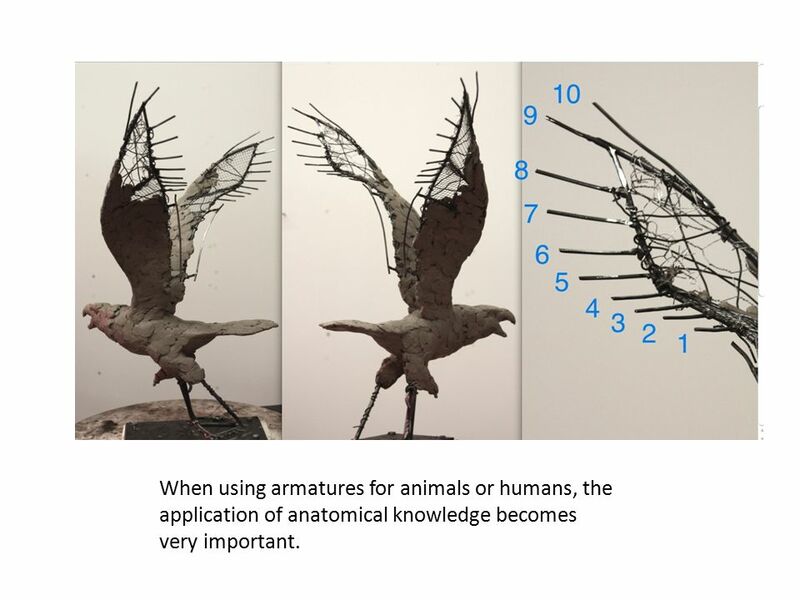 8 When using armatures for animals or humans, the application of anatomical knowledge becomes very important. 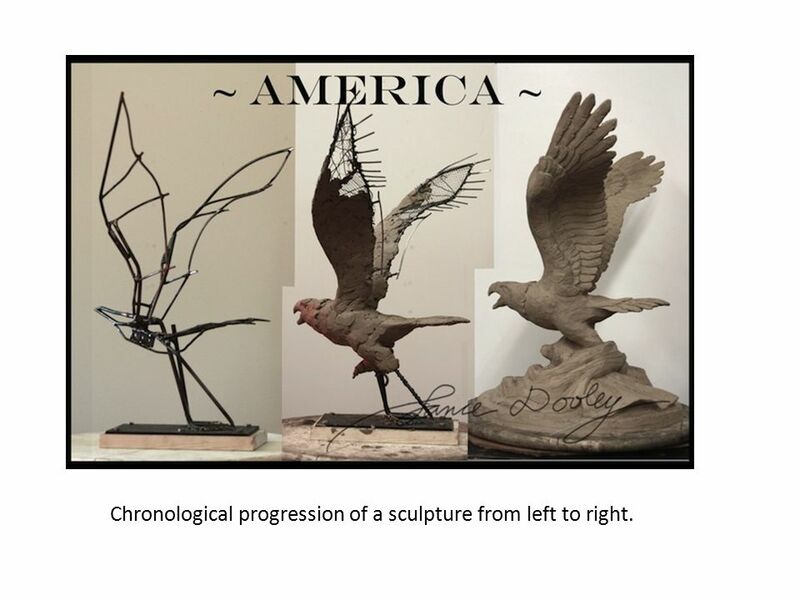 9 Chronological progression of a sculpture from left to right. 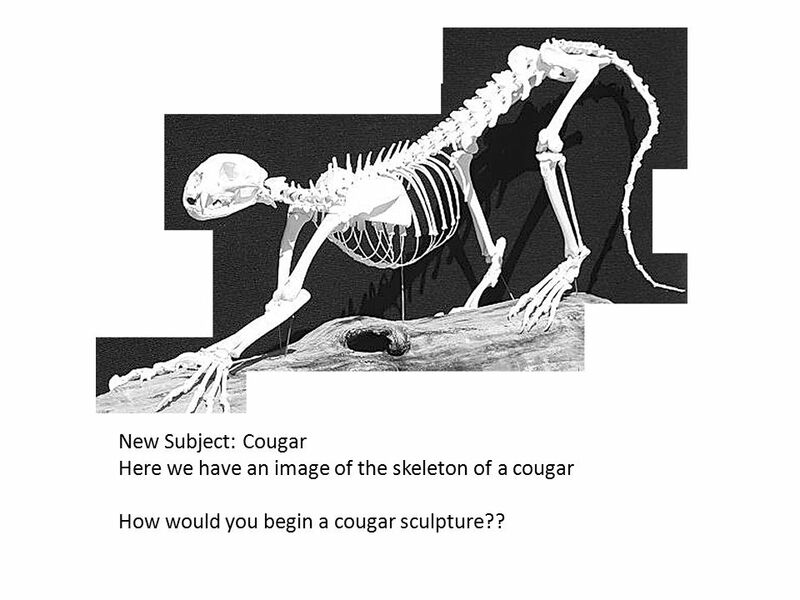 10 New Subject: Cougar Here we have an image of the skeleton of a cougar How would you begin a cougar sculpture?? 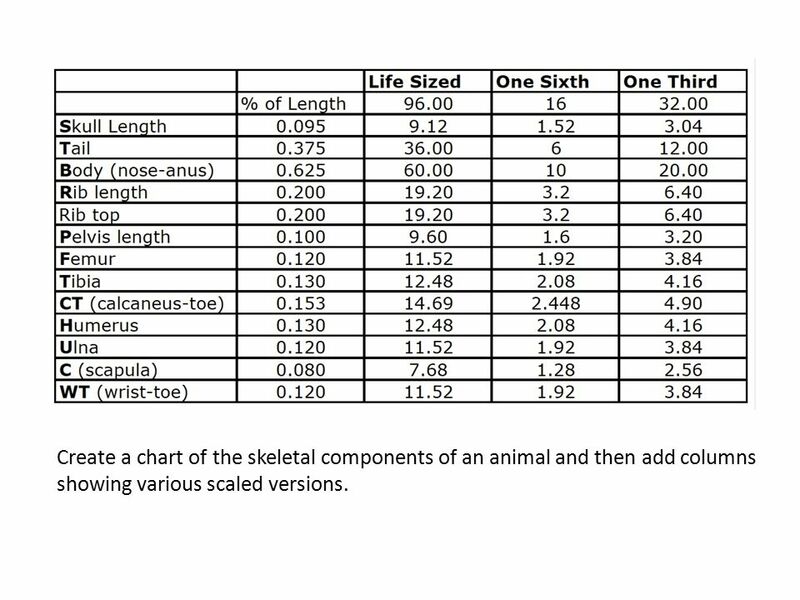 11 Create a chart of the skeletal components of an animal and then add columns showing various scaled versions. 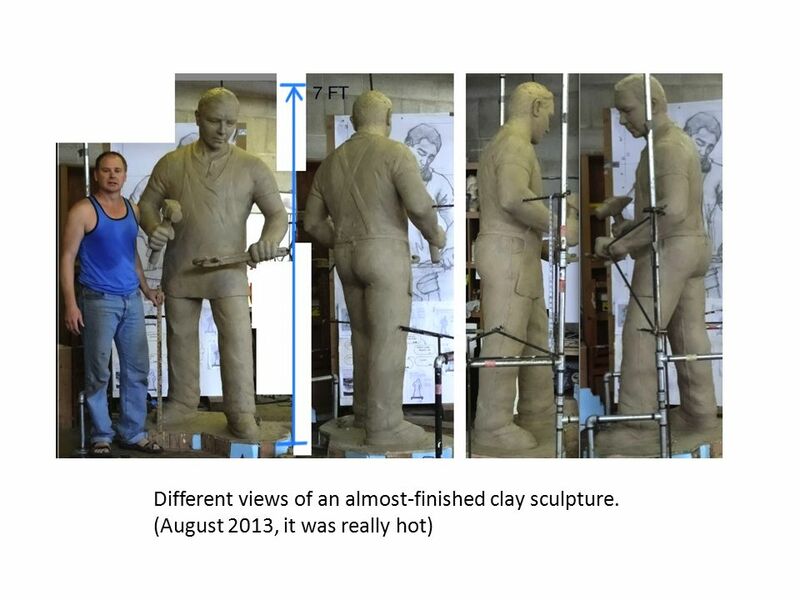 12 A one-sixth scale maquette is first made. 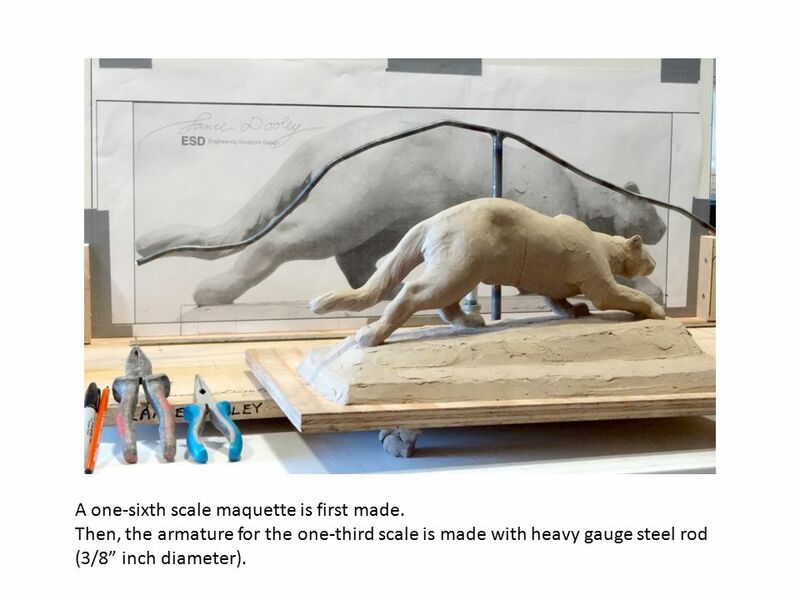 Then, the armature for the one-third scale is made with heavy gauge steel rod (3/8” inch diameter). 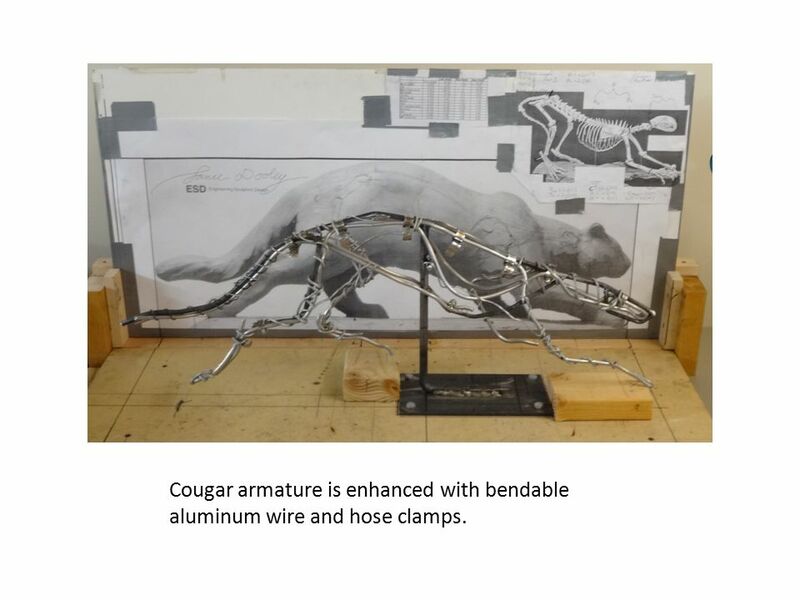 13 Cougar armature is enhanced with bendable aluminum wire and hose clamps. 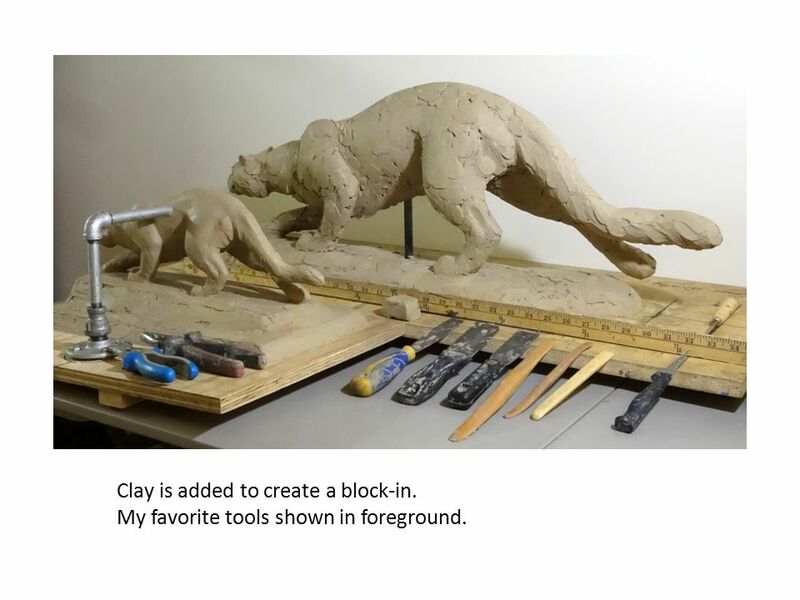 14 Clay is added to create a block-in. My favorite tools shown in foreground. 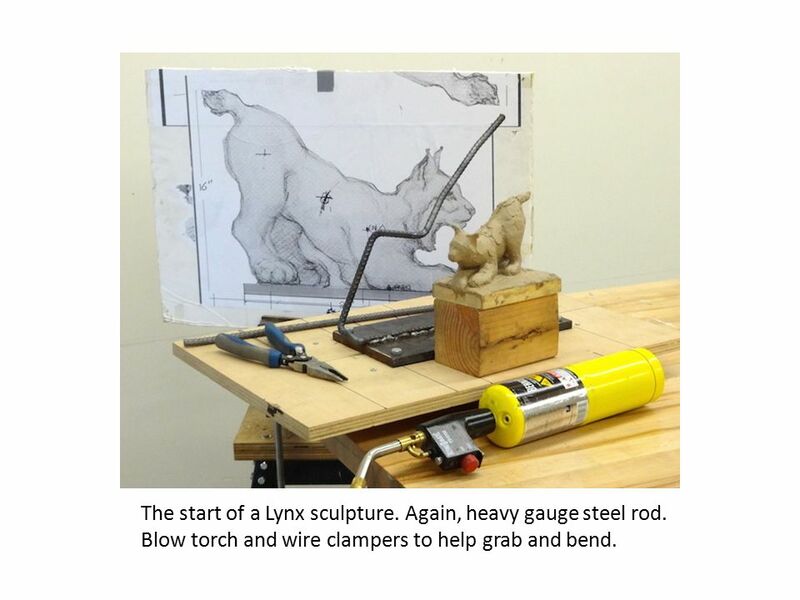 17 The start of a Lynx sculpture. Again, heavy gauge steel rod. Blow torch and wire clampers to help grab and bend. 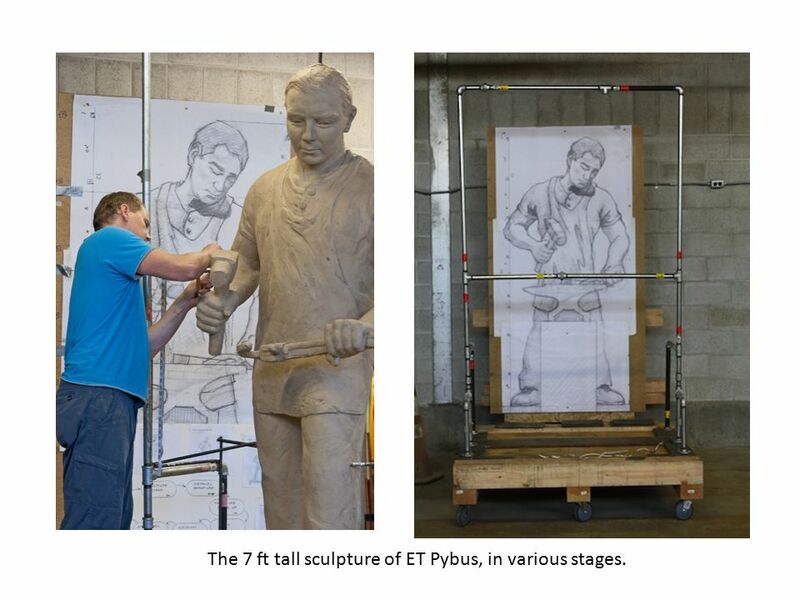 18 The 7 ft tall sculpture of ET Pybus, in various stages. 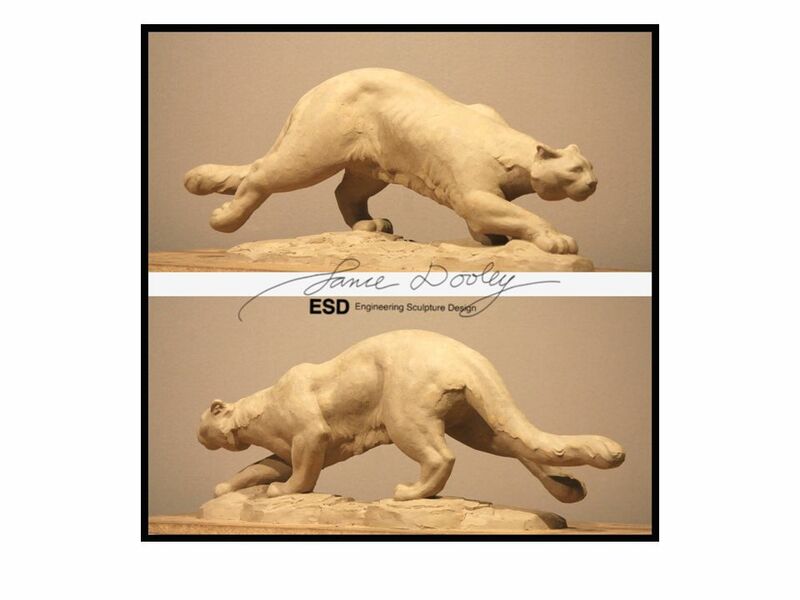 20 Different views of an almost-finished clay sculpture. 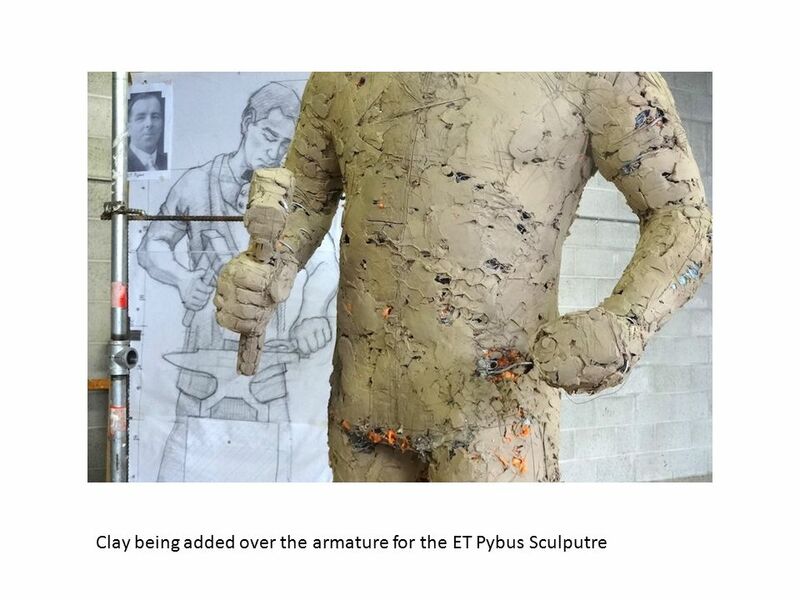 22 A little further along with a half scale clay figure. Starting an armature for an owl. 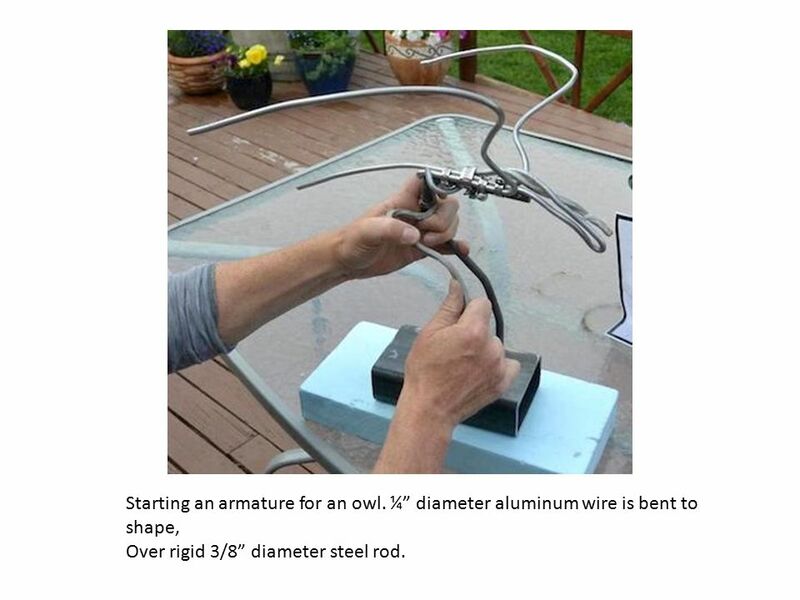 ¼” diameter aluminum wire is bent to shape, Over rigid 3/8” diameter steel rod. 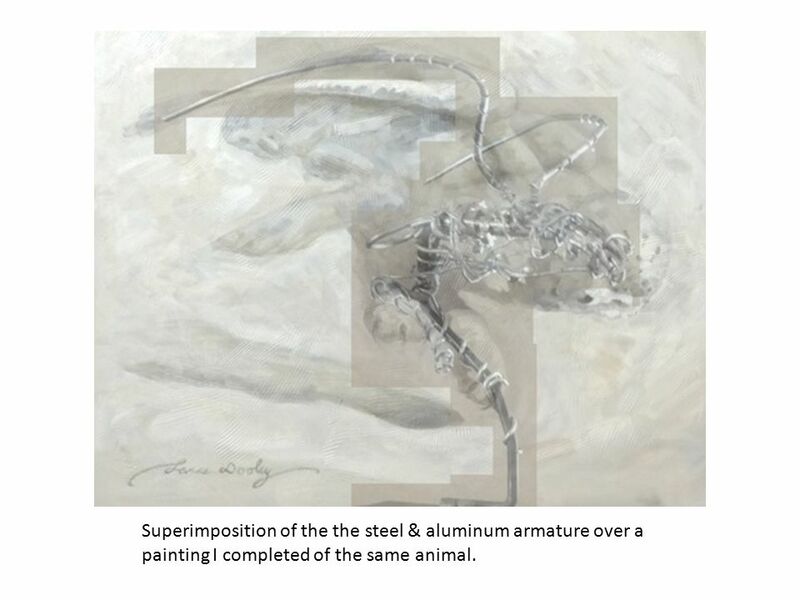 24 Superimposition of the the steel & aluminum armature over a painting I completed of the same animal. 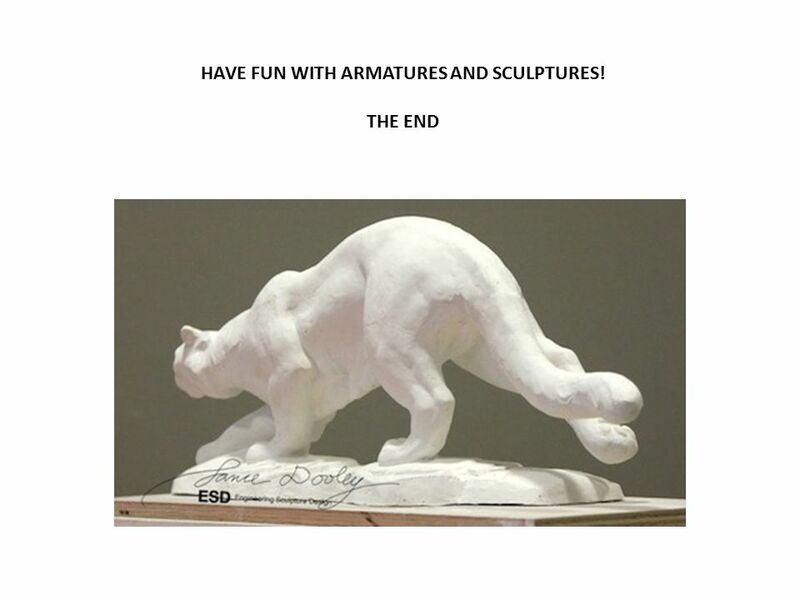 25 HAVE FUN WITH ARMATURES AND SCULPTURES! 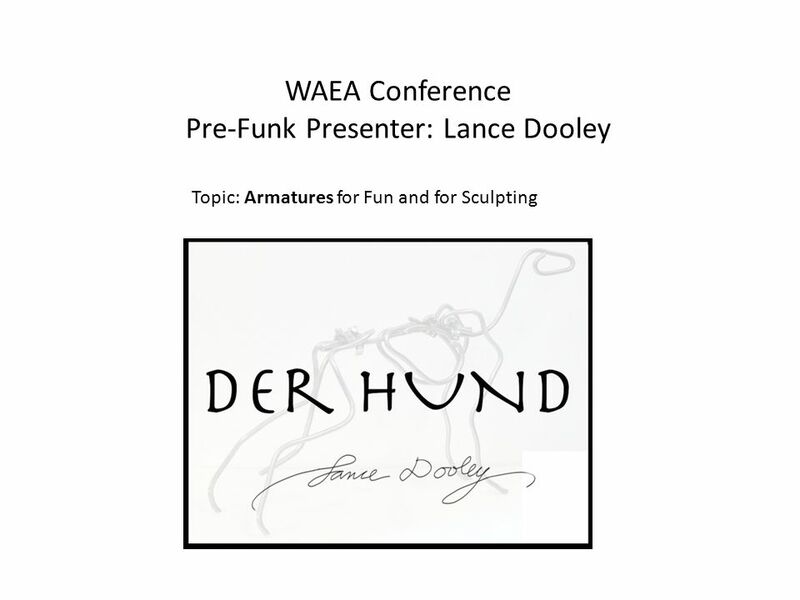 Download ppt "Pre-Funk Presenter: Lance Dooley"
Stagecraft 3D scenery Not everything in the world is rectangular. To create natural shapes or curved, irregular shapes we use construction methods different. STEEL Steel is a combination of iron and carbon. There are different formulations of steel for various uses. There is stainless steel used for forks and. Précision japonaise Avions réduits. P51 mustang. FEA as an aid in Design 1.Applying FEA to a fairly complex design can initially overburden us with information. We therefore need a method of analysing. Look at the painting and think about it in relation to the 10 principles and 7 elements we have studied Gustave Courbet The Stonebreakers , Oil. Claymation or Clay Animation. What is Clay Animation? Animation done using clay characters (although it can be done with other materials as well). Also. Unit 1 Lesson 4 GMAW Filler Materials. GMAW filler material Selection of the material that is to be manufactured into filler wire for GMAW is based on. Rules for Expanded Column Addition A few tips to help you out! Figures by Alberto Giacometti. Alberto Giacometti ( ) was born in Switzerland. He was one of the most outstanding artists of the 20th Century. Angela Hayes. I can add text to the presentations….  Adding text helps to explain the presentation to your audience. Unit 4 – Introduction to materials, processes and technical skills in art & design Week 4 Wire Sculpture. REINFORCED CONCRETE Reinforced concrete is a composite material which utilizes the concrete in resisting compression forces, and steel bars and/or. 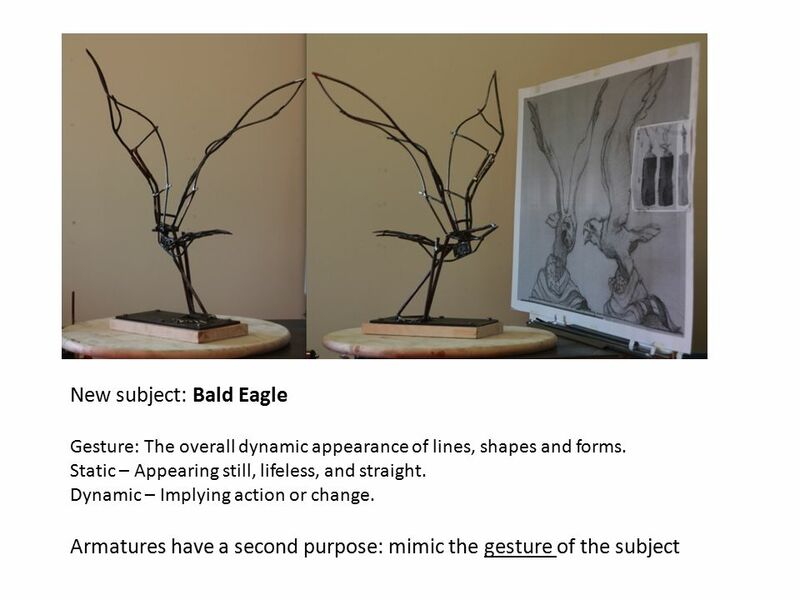 Wire Gesture Sculptures. Alexander Calder American sculptor (b. July 22, 1898, Lawnton, Pa., U.S.—d. Nov. 11, 1976, New York, N.Y.), best known as the.